If the prosecutors can prove that you had the intent to sell meth, your punishment may be much more severe. on drug crimes within recent years, especially on crimes for narcotics and controlled substances due to the proclaimed “war on drugs.” If you have been charged with possession for sale of methamphetamine under HS 11378, you may be facing serious time and you should strongly consider hiring an experienced attorney. A lawyer with experience in this field can defend your case properly and ultimately influence the outcome of your case. Our attorneys at Wallin and Klarich have successfully defended drug crimes cases such as possession for sale of methamphetamine for over three decades. We have the knowledge and expertise necessary to properly defend you and make sure that you are treated fairly by law. If you’ve been charged with this crime, do not hesitate to contact us today. Read on to find out how Wallin and Klarich can defend your case in the following ways. Possession: You had physical control or the power to control the methamphetamine. Knowledge: You knew the methamphetamine was present. Intent to Sell: You possessed or purchased the methamphetamine with the specific intent to sell it or for someone else to sell it. Evidence of intent to sell may include the quantity of the drug; how it is packaged or the existence of packaging materials (baggies) in the same location; the amount of money found on you or near the drugs; and the absence of paraphernalia indicating personal use. Possession means that you had physical custody and control over the substance. The prosecution can satisfy this burden by proving that the substance was in a vehicle or home that belongs to you. Even if you did not personally buy the substance, or were not using the substance, the prosecution can still charge you with felony possession. The prosecution does not need to prove that you knew which specific controlled substance you possessed, only that you were aware of the substance’s presence and that it was a controlled substance. Two or more people may possess something at the same time. You do not have to actually hold or touch something to possess it. It is enough if you have control over it, or the right to control it, either personally or through another person. Agreeing to buy a controlled substance does not, by itself, mean that you have control over that substance. You must possess more than a “usable” amount of methamphetamine in order to be convicted of HS 11378[i] in California. There is no set definition of how much crystal meth a defendant must possess in order to meet this element. Other circumstantial evidence can be introduced in order to prove that the intention was there to possess methamphetamine for the purposes of selling it. Selling illegal drugs means exchanging the controlled substance for money, services, or anything of value. Typically, the prosecution will have to prove that you possessed a usable amount of the controlled substance. Intent means just that. You intended to sell the drugs and not use them personally. Generally, the presence of additional evidence – individually bagged amounts of crystal meth, a scale for weighing product, the presence of large amounts of cash and/or a pre-paid cell phone or pda, for example, can be used to support the charge that you possessed the drugs with intent to sell. Our attorneys are well versed on all of the possible defenses to a possession of meth with intent to sell charge and are ready to present them on your behalf. Lack of Knowledge: You were unaware that you possessed methamphetamine. For example, another person placed the substance in your bedroom, vehicle or backpack, etc. You cannot be convicted for possession for sales in California if you did not have the intent to sell. Selling means to exchange a controlled substance for money, services, or anything of value. Note that being in possession of a controlled substance without the intent to sell is still a crime under California Health and Safety Code Section 11371[ii]. Did the police commit an unlawful search and seizure during your possession with intent to sell meth arrest? One of the strongest defenses to an unlawful search or seizure is a Motion to Suppress Evidence under Penal Code section 1538.5[iii]. An experienced criminal defense attorney, on behalf of his or her client, may be able to file a motion to suppress evidence whenever it is believed that evidence was taken from a person or his/her property unlawfully. The general theory behind a motion to suppress is that the prosecution should not benefit from evidence that law enforcement took from you illegally. There are many legal grounds for bringing a successful motion to suppress evidence motion. If your motion to suppress evidence is successful then this means that the illegally seized evidence will not be able to be used against you in court. This normally results in the criminal charges against you being dismissed. You cannot be charged with possession of a controlled substance if you were not aware of the substance’s presence and that it was a controlled substance. You did not intend to prevent the police from obtaining the controlled substance. You have the burden of proving this defense by a preponderance of the evidence. This is a different standard of proof than proof beyond a reasonable doubt. To meet the burden of proof by a preponderance of the evidence, your attorney must prove that it is more likely than not that each of the three listed items is true. You cannot be charged with possession of a controlled substance if you did not have control over the illegal substance. However, the prosecution may be able to satisfy this burden by proving that the substance was in a vehicle or home that belongs to you. Even if you did not personally buy the substance, or were not using the substance, the prosecution can still charge you with felony possession. Being accused of a crime can be stressful. Let us help you through the process. If you are facing allegations of possession with intent to sell methamphetamine under HS 11378, you need to contact an experienced criminal defense attorney who is well versed in possession for sales of controlled substances law. A drug possession for sales conviction may result in serious penalties. 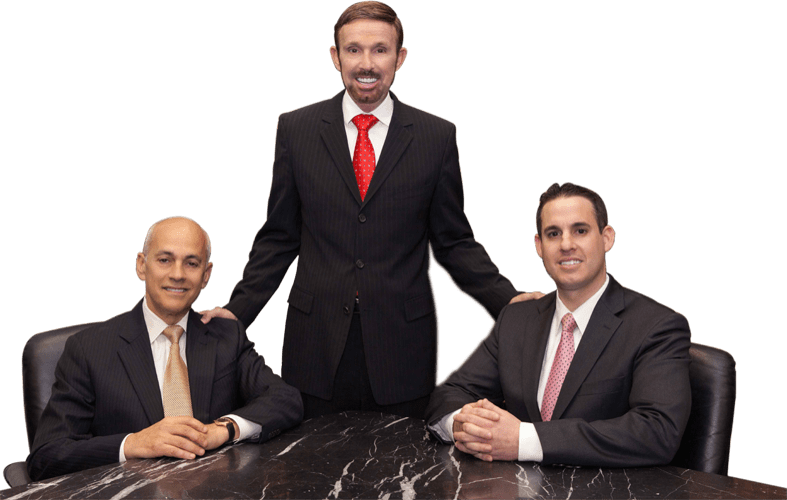 The attorneys at Wallin & Klarich have over 30 years of experience handling drug cases that deal specifically with possession for sales charges. With offices located in Los Angeles, Sherman Oaks, Torrance, Orange County, San Diego, Riverside, San Bernardino, Ventura, West Covina and Victorville , Wallin & Klarich has the experience and knowledge to aggressively defend you. We will help guide you through all of your options and help you achieve the best possible result in your case.